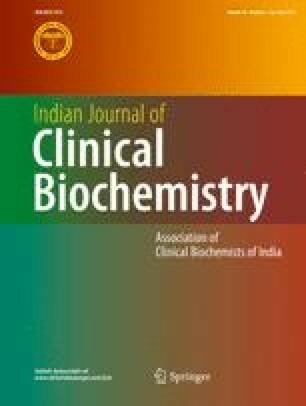 Omentin-1 and prostate specific antigen (PSA) are known to be markers of insulin resistance and hyperandrogenism respectively in polycystic ovary syndrome (PCOS). This study aimed to assess the changes in serum omentin-1 and PSA levels in PCOS patients while on treatment. Serum omentin-1, PSA, BMI and Ferriman gallwey score (FG score) were measured in 80 women with PCOS. The subjects were treated depending on their presenting complaints. The parameters were analysed at baseline and after 3 months of treatment viz. lifestyle modification (Group I), oral contraceptive pills (OCP) (Group II), clomiphene citrate (Group III), medroxy progesterone acetate (Group IV) or metformin (Group V) and was compared using paired-t test. Group II showed significant increase in serum omentin-1 (271.7 ± 112.2 vs 378.1 ± 242 ng/ml; P = 0.025) and decrease in serum PSA (0.014 ± 0.02 vs 0.005 ± 0.008 ng/ml; P = 0.027) after 3 cycles of OCP. Group I and IV also showed a decrease in serum PSA while FG score decreased in group II and group III. There was a negative correlation observed between serum omentin-1 and BMI. To conclude, PCOS women showed increase in serum omentin-1 levels after 3 cycles of OCP while serum PSA decreased after 3 months of lifestyle modification or on treatment with OCP or medroxy progesterone acetate. I thank JIPMER for granting permission and intramural funds for conducting this study. The study was funded by the institute’s intramural fund. Dr. Anbalagan Anithasri, Dr. Palghat Harihara Ananthanarayanan and Dr. P. Veena declare that we have no conflict of interest.